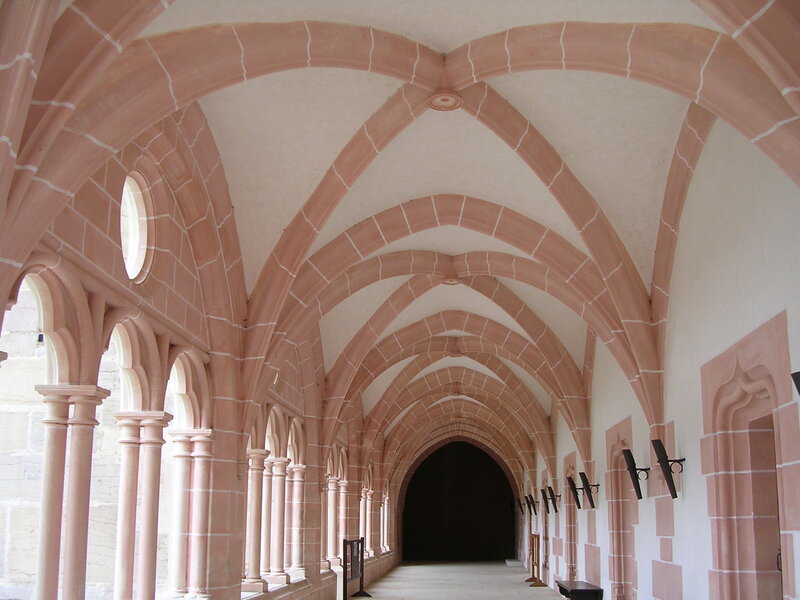 The Notre-Dame de Citeaux Abbey is the first abbey of the order of Citeaux, or the Cistercian Order. The original abbey dates back to 1098, where in the Duchy of Burgundy, Robert of Molesme, Abbot of the Abbey of Our Lady of Molesme, founded the church. Constructed in the Gothic style, which was current in the 11th century, it was dedicated to Mary, Mother of God, and placed under the protection of the Dukes of Burgundy. Having left the abbey of Our Lady of Molesme, a small group of twenty one monks, led by Robert of Molesme, went to Citeaux to apply the Gregorian reform and live in the spirit of prayer and poverty of the rule of St. Benedict. The low country was a land sparsely populated, well forested, but also an unwelcoming and hostile place. The beginning was very difficult, for what was required to develop the land was beyond what they possessed. The disciples of Robert suffered from extreme poverty, but Pope Pascal II, in the year 1100, gave his protection to the new monastery, and the Duke of Burgundy provided the monks with what they needed for construction and supplied funding for food and the overall maintenance of the religious. Difficulties with the water supply at the original site required Aubry, successor of Robert after 1099, to settle the new community two kilometers further south. 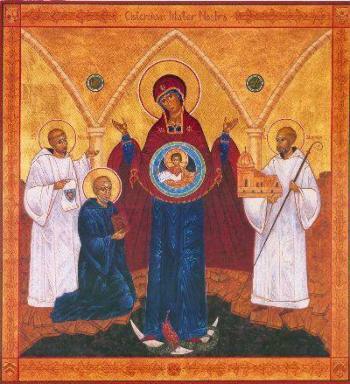 New buildings were constructed, including a chapel, which was built of stone and dedicated to Our Lady in 1106 dedicated to the Blessed Virgin on 17 October, 1193. After the death of Abbot Aubry in 1109, Stephen was elected as the third Abbot. He faced great problems, for their voluntary poverty appeared so strict that they had a reputation for too much austerity and there were few vocations. The community was shrinking, and some appeared at the gates of despair because they feared to have no successors. Depending directly on the Papal States by pontifical right, the Cistercian Order is officially approved in 1119 by Pope Calixte II, with the purpose that it spread and enforce the Gregorian reform throughout the Christian West. The Abbey of Citeaux thus became the founding mother of more than two thousand monasteries from the Kingdom of France and throughout the Christian West to Transylvania in the East during the 12th century. The Abbey of Citeaux, whose founding was so difficult, became a major spiritual center which profoundly influenced the spiritual, economic, and social life of men in the Middle Ages. It was from this place that new Cistercian abbeys sprung up all over Europe for the benefit of all mankind. The Christian West returned to a more rigorous respect for the rule of St. Benedict, and none of this is to even begin to mention the influence of the great saint and monk, Bernard of Clairvaux (1090-1153). The famous Saint Bernard actually left Citeaux to found his monastery at Clairvaux in the year 1115. The monastery at Citeaux suffered pillaging several times throughout the Hundred Year’s War, and the monks were often forced to take refuge elsewhere during those perilous times. It was not until the 16th century before the community once again numbered over 200 monks, but then with the Wars of Religion the number of monks began to decrease again. Finally, in 1791, the abbey was struck by the French Revolution as the property was illegally seized and sold as national property by the government. In 1898, twenty Cistercians returned to occupy the abbey, although the church had been completely destroyed. Still, it is one of the few sites that has regained at least something of its spiritual tradition. The church has been rebuilt, and there are currently about 30 brothers living there. The abbey of Citeaux was classified as an historical monument in 1978.